For long-term success on YouTube, you need to evolve your channel over time. But before you start making big changes, it can be helpful to understand where you are and where you want to be on YouTube. Learn ways to measure your channel and assess your well-being so you can be more successful long-term. You’ve experienced a continued decline in your channel performance (over 90 days). You feel that your current video content formats aren’t sustainable. You want to explore a new creative direction. Let’s start with channel performance, since data can drive decisions about what you’re doing well and what may need to change. It’s tempting to get wrapped up in short-term metrics, but it’s important to understand the difference between normal channel fluctuations and a steady performance decline. Open the Overview tab in YouTube Analytics. This shows you key metrics for your channel over the last 28 days, including watch time, views, and subscribers. If you’re in the YouTube Partner Program, you’ll also see your estimated revenue. Next, pull up key metrics for each of these areas: Reach viewers, Interest viewers, Build an audience, Earn revenue. Data will be surfaced based on what’s most important to reach your goals. When you want to go deeper, click into a card for power tools. For example, you can dig into details on click-through rate and average view duration to understand how much people are engaging with your content. Try comparing different videos across your channel. As you evaluate your channel performance, keep context in mind before jumping to conclusions. Depending on your content type, it’s normal to see fluctuations in views or watch time due to seasons, holidays, current events, or business cycles. Within Google Trends, you can find Top Charts by geography, date, and category—offering a snapshot of popular Google search queries. Try checking if the topics you typically cover have been trending up or down over the past year. Find out which of your videos have high click-through rates, and long view duration. Consider the impact of seasonality and trending topics. Another indicator that you may need to try something new on your channel is your well-being. It’s normal to feel bored, inspired to try something else, or even pressure from your audience to produce a high volume of content. Before you reach a breaking point, physically or emotionally, consider whether creative changes can improve your sustainability. Am I tired of the content I’m making? Do I feel stressed about upload frequency? Am I unhappy with my work/life balance? If you answered "yes" to any of these, it might signal that you should make a change. Regardless of experience, it’s important that you have enough “me” time. Many successful creators point out that consistent quality of video uploads matters more than quantity. Also, even when you’re not uploading videos, you can keep your audience engaged through features such as Stories and Community posts. Remember to use comment filters and not to take every comment personally. Learn more about fostering a positive community on YouTube. What you do outside of YouTube also can affect your well-being—things like exercise, diet, sleep, and social interactions. Networking and hanging out with other creators can be helpful because they can identify with where you are and what you’re going through. But remember, every channel is unique, so try not to compare yourself to other channels. Think about how you spend your time, and recognize when you may need to take some time off. Spotting the warning signs of burnout and taking more time for self-care are important steps. Get more tips for staying well and avoiding burnout. Gaming creator Pungence explains why he’s taking a short break from YouTube for a “staycation” to recharge, read, and relax. 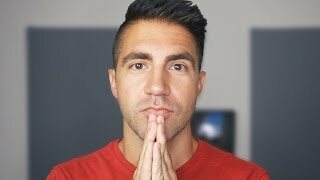 Roberto Blake responds to Casey Neistat on the anxiety of being a creator and reveals how he deals with the pressure. 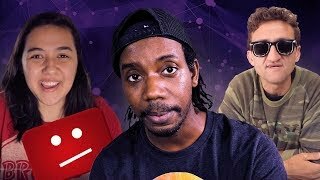 My YouTube channel is dying? 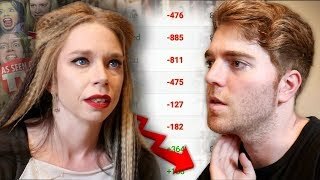 Shane Dawson visits bunnymeyer (grav3yardgirl) for a unique collab to talk about some challenges they’ve faced as high-profile creators. When companies introduce a new product to market, the sales typically rise, level off, and then fall. To stay ahead of the curve, successful companies usually invest a lot of effort into coming up with new ideas, some of which become the next hit products and the cycle continues. For creators running a business on YouTube, their product is their video content. Topics or formats that might have been popular one year ago may not be as popular next year. Think about what TV shows you’ve watched over the years. Are there some you still watch now but others you don’t? On YouTube, you have the ability to reinvent yourself before your audience starts to lose interest. Many creators who have been on the platform for a while will refresh their channel with new types of videos to keep their audience excited, stand out from the crowd, and stay relevant. MattPat decided to expand beyond his single animated “Game Theory” series, experimenting with new formats. He now has multiple series and a spin-off channel with over seven million subscribers. In 2017, DeStorm introduced a weekly, narrative series of one-minute musical sketches called “Caught.” Each episode ended with a cliffhanger so viewers would watch more. Wengie reduced her upload schedule to once per week and pivoted from serious beauty tutorials to more lighthearted “life hack” content, such as back-to-school hacks using school supplies. If you’re contemplating something new, think about your channel’s unique story. Consider how you would change your content, while preserving your foundation—your background, your purpose, your ambition. While your options for adapting may be unlimited, you don’t want to lose sight of what makes you unique. The next lesson will give you some concrete tips for making creative changes to your channel.